You guys. 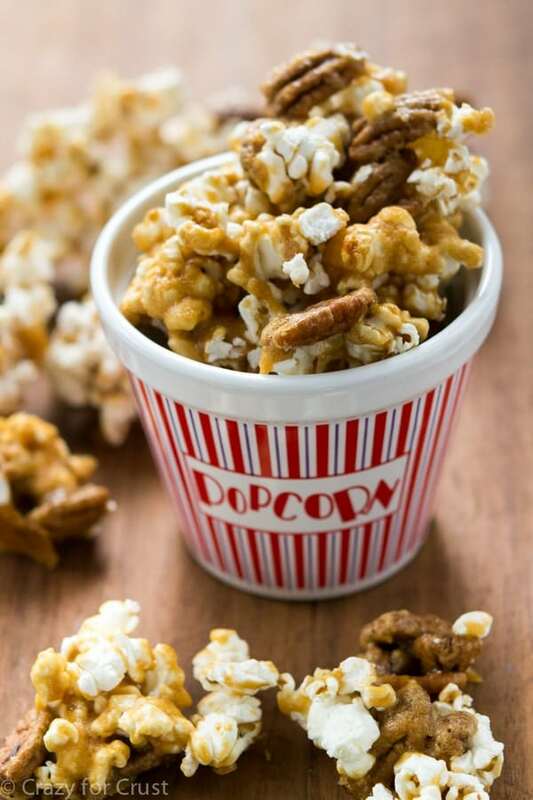 This Pecan Praline Popcorn. O-M-Eat the whole bowl. It’s ah-maz-ing. It’s covered in bcaramel carmel and pecans and is oh-so-addictive. I am so excited to share this post with you today. First, because I got a new camera lens. Whatcha think? 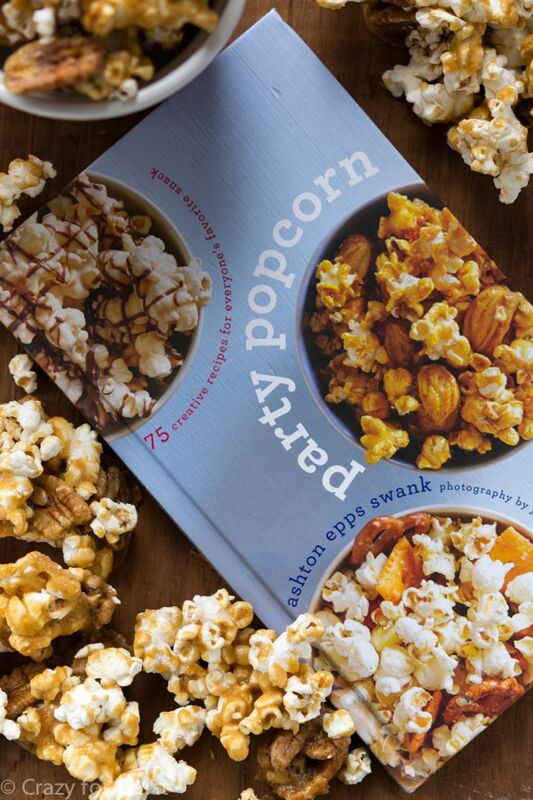 But really, I’m more excited about this recipe because it’s in my new favorite book: Party Popcorn, by my BFF Ashton Epps Swank from Something Swanky. Two years ago, as Ashton I were knee deep in Online BlogCon during it’s first year, she messaged me on Facebook that she was writing a cookbook. I *may* have squealed out loud. If you’re a regular around here you’ll know that Ashton was my very first blog friend. Without a doubt, I would not be where I am today without her support, friendship, and guidance. I’m so happy that her first book is now available! And, guys. It’s FULL of popcorn recipes. 75 of them! From savory to sweet, from easy to decadent, she’s got you covered in this book. Every flavor you can think of is in there. Toffee, caramel, kettle, ranch, pizza, peanut butter, peppermint, eggnog….and on and on for infinity. About a year ago, I found the popcorn jug that’s in these photos at my local Goodwill Store. I bought it knowing that one day I’d review Ashton’s book. And today is that day! Okay, so let’s talk about this popcorn. I mean are there better words than “popcorn” and “pecan praline”? I don’t think so. Believe it or not, I had my first praline – ever – when I was in Nashville last month. It was as big as my head almost and I ate so much of it it made me sick. But I could not stop! I came home, praline addicted. This Pecan Praline Popcorn? Is thebombdotcom. Even if you’ve never made a praline mixture before, you can do it, easy peasy. No candy thermometer needed! The praline mixture is made with brown sugar, corn syrup, and butter. You let it boil for 4 minutes, then stir in some butter extract and baking soda and the magic happens. Add the pecans, toss with some popcorn, and bake until crunchy. I almost couldn’t wait until it cooled to eat it. This recipe calls for 8 cups of popped popcorn. Ashton talks all about the different ways to pop corn in the book, including a microwave-in-a-bag trick for homemade popcorn – fast. 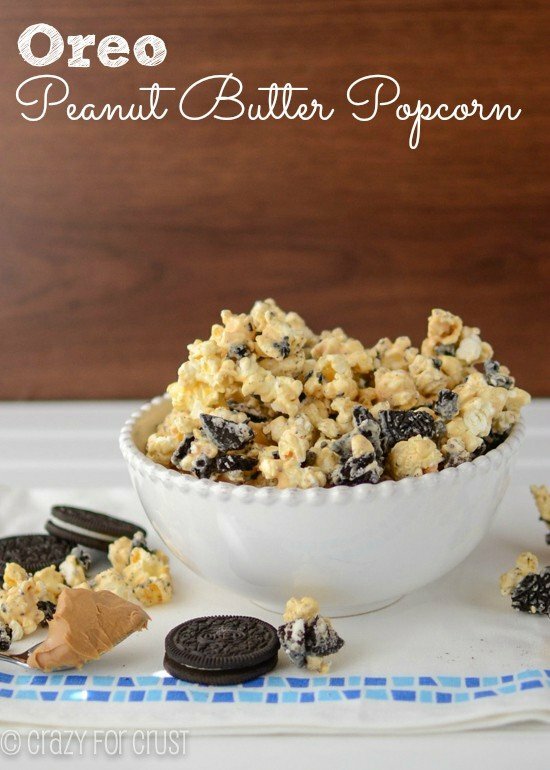 I used an air popper which is the easiest way to make homemade popcorn. Just dump in the kernels and let it do it’s thing. 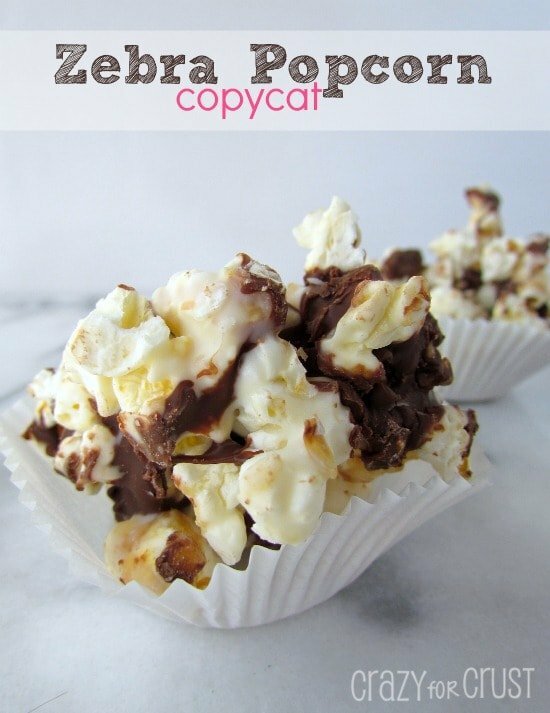 If you only have microwave popcorn on hand, you can use that for this recipe, but I suggest getting the “natural” or “light” or “less butter” kind. That way the flavor of the buttered popcorn won’t interfere with the flavor of the pecan praline. Congrats Ashton, I’m so proud and happy for you. Now everyone else? Go get her book! Popcorn is smothered in a very easy to make pecan praline for some of the most addictive popcorn ever! Preheat the oven to 300°F. Line a baking sheet with parchment paper or a silicone baking mat. Pour the popcorn into a large bowl and remove any unpopped kernels. Stir together the brown sugar, butter, and light corn syrup in a medium saucepan over medium heat. (Note: if you are using unsalted butter, you will want to add salt in step 4.) Stir until butter has melted and the mixture reaches a slow bubble. Stop stirring and allow the mixture to boil for 4 minutes. Remove from the heat immediately and stir in butter extract and baking soda. The mixture will bubble up a bit. Stir in salt, if using. Stir in the pecan halves. Pour the caramel-pecan mixture over the popcorn. Use a large rubber spatula to stir quickly but gently. Spread the popcorn evenly on the baking sheet. Bake for 10-15 minutes, 10 for chewy and 15 for crunchy. Let cool in the pan about 10 minutes before serving. Chewy popcorn should be eaten the day of. Crunchy will last up to 1 week in an airtight container. 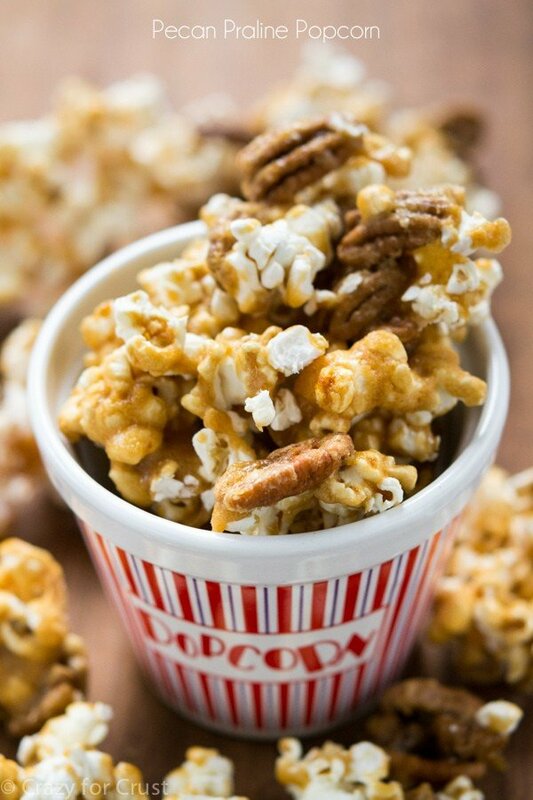 If you loved Pecan Praline Popcorn, you’ll love these popcorn varieties! This popcorn looks fabulous. Congrats on the new lens, Dorothy! Your photographs are stunning. Pinned! I LOVE fun and fancy popcorn!! Another book to add to my wish list!! So super delicious!! I love how easy and simple it is to make. I’ve never made pralines because anything that uses a candy thermometer is not for me. Thanks for the delicious recipe!! Absolutely gorgeous pictures girlie!! And that popcorn? It sounds downright amazing! Love me some praline goodness!! Of course all the recipes in Ashton’s book sound crazy good! This looks delicious and beautiful! Bravo for the gorgeous pics! Your recipe calls for “butter extract” but the article mentions “vanilla extract”. Which is it? Thank you for letting me know! It’s butter, to give the pecan praline flavor. I’m so used to typing vanilla! AMAZING! I knew Ashton’s book would be amazing but oh my GAWDDDD I love the pecan praline spin on the popcorn!!!!!!!!!!!! Hi Dorothy-I agree with you about how wonderful Ashton’s book is….I bought it for myself for an early birthday gift and oh my gosh, I think I’ve dog-eared every page! 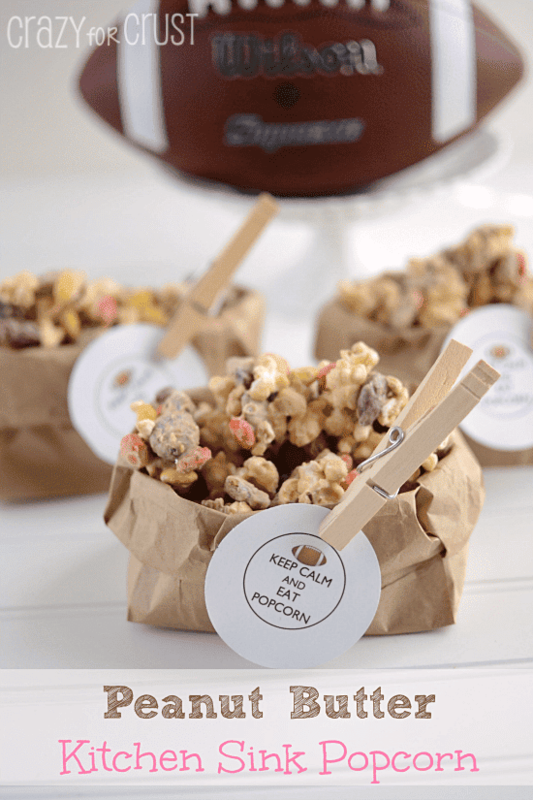 One of the ones I have marked is for this popcorn-yours looks amazing….I can’t wait to try it. I did make the Neapolitan Popcorn and Sea Salted Caramel Corn from the book and yowzers did they go over big over Christmas! I’m so glad! Her book is fabulous!! Looking forward to making this for a graduation party. FABULOUS!! So, so simple! Yuuummy!